All Pakistan Chemist Association is observing a shutter down strike across Punjab against the Drug Act 2017. 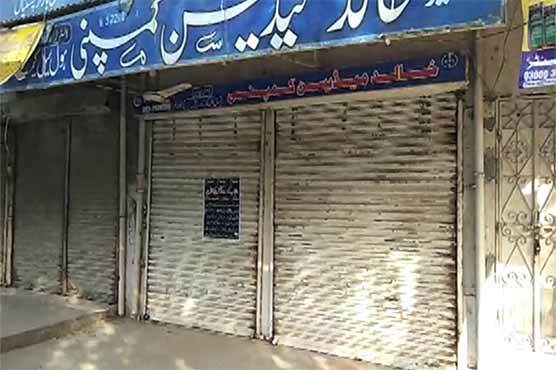 Various medical stores have been shut down in Multan, Faisalabad, Lahore, Rawalpindi, Vehari, Sadiqabad, Narowal, Chishtian, Kasur, Sialkot and other cities. However; they are seen been divided into two factions wherein one has announced detachment from the protesters.